As someone who dips in and out of the DC Universe while keeping one foot firmly in Marvel territory, it continues to amaze me how DC make no effort whatsoever to open up their new titles to the uninitiated. 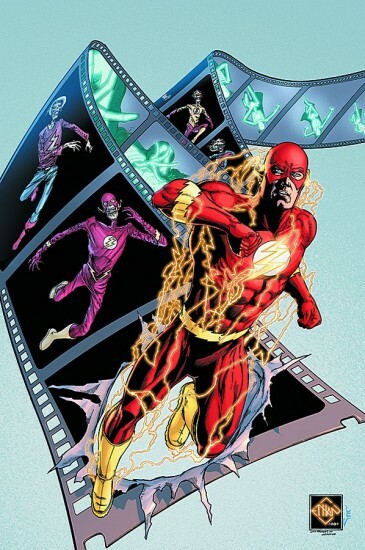 By bringing back Barry Allen, they clearly wanted to reboot the series and character in a substantial way, yet I cannot imagine that any fresh reader who bought Issue 1 of Flash: Rebirth would have got anything out of it other than bewilderment. This isn’t aided by the fact that Barry and Wally West both wear identical costumes, though this is due to change. That’s not to say that Geoff Jones is doing a bad job with this miniseries, by any means. Anyone who appreciated his Hal Jordan comeback Green Lantern: Rebirth definitely won’t be disappointed. This series seems to be serving as both a history lesson and a restructuring of the speed force and its manipulators. Something I love about Jones’s writing is his ability to affectionately poke fun at his spandex-clad characters without ever veering into spoof territory. 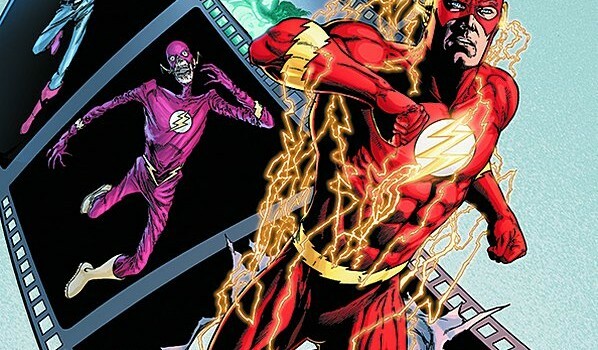 Combined with Van Sciver’s eye for detail, this looks to be a pretty pivotal series in the Flash mythos. Jones is deftly simplifying the vast and indistinguishable speedster family, while defining Barry from Wally and Bart. The final revelation of this issue was fabulous, while I’m eager to see how the past and present murders cases come together.